Sunday morning repost from one of our lifters @avina86. He spotted @kendrickjfarris and I scheming it up and jumped in for a little photo op! Thank you for making me look incredibly #jacked. My shoulders look like they’ve got their own set of shoulders. 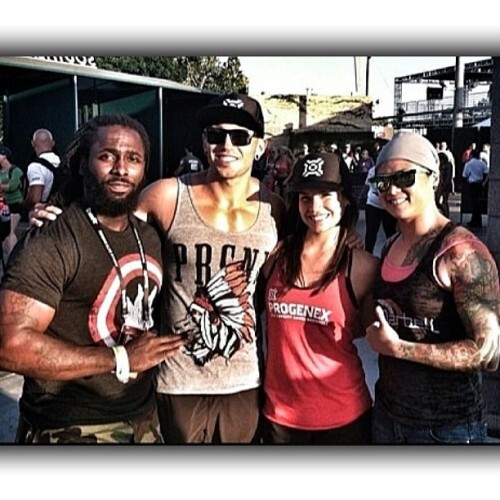 Final day down at The 2013 Reebok CrossFit Games. Stoked to see who’s going to be crowned Fittest Man and Woman on Earth! 1. Set-Up: Tight back, loose arms, and get ready to drive the legs through the platform. 2. Focal point: Eyes to the horizon (or above). 3. Chest Up: Throughout the lift maintains position of the body. 4. Finish the hips and shoulders: Be aggressive! 5. 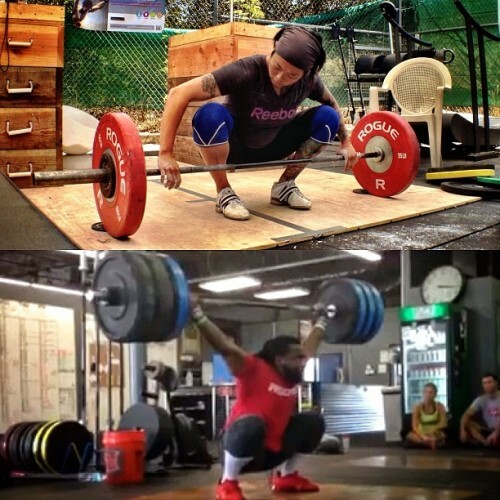 Lockout: Light or heavy, put that bar where you want it to go. 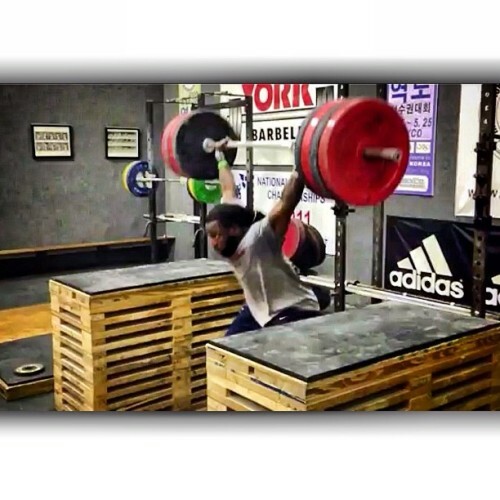 Kendrick Farris (@kendrickjfarris) reeling in 200kg/440lbs power jerk for not 1 but 4 missing only barely on the 5th. 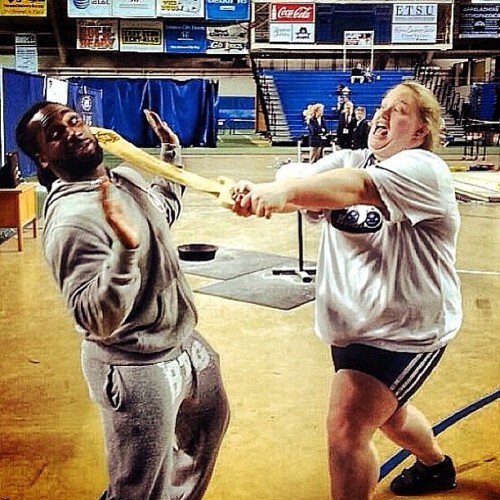 What happens when one weightlifter (@holleymangold) sees another weightlifter (@kendrickjfarris) at University Nationals? A whole lot of silliness! Such a great photo — made me smile. Had to repost!